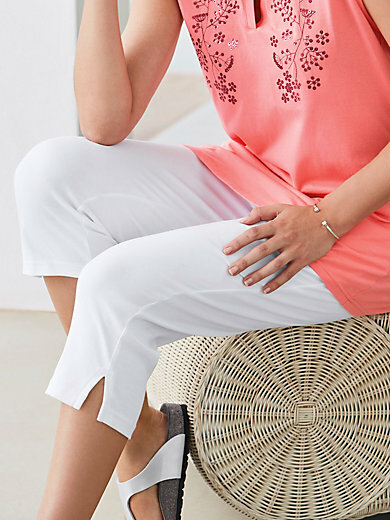 Cropped trousers by GREEN COTTON: easy to mix and match, on-trend and very comfortable! 3/4-length trousers with fully elasticated waistband, 2 slash pockets and hem vents. Made of 100% cotton, GOTS certified. Inside leg length approx. 20ins. The cropped trousers are machine washable.